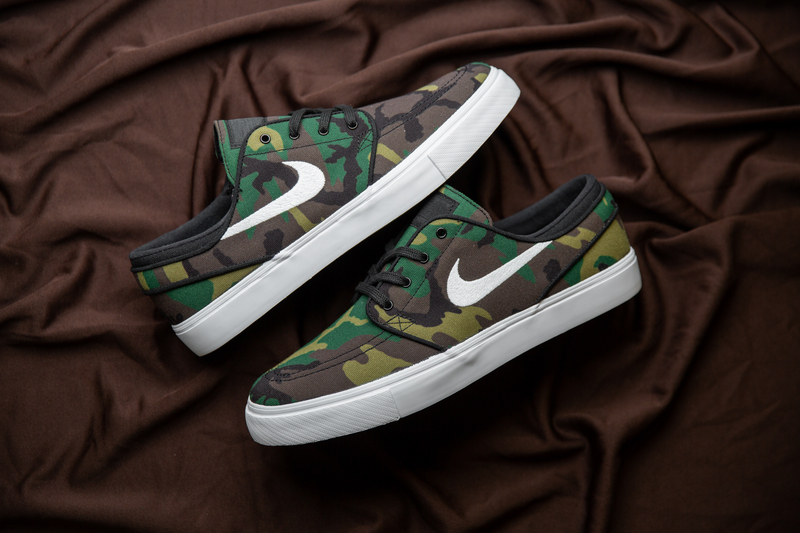 Since relaunching with the help of the late Sandy Bodecker back in 2002, Nike SB has gone from strength to strength in developing one of the most innovative footwear ranges in skateboarding. 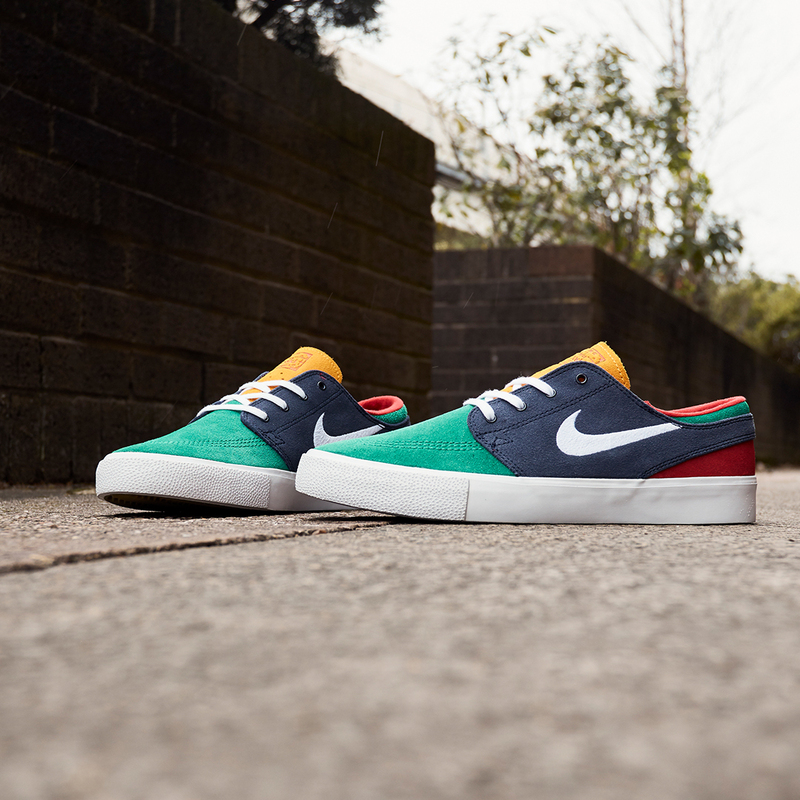 Each year we see the arrival of brand new silhouettes that utilise the latest technology; sitting alongside adapted shoes from the Nike archive which have found their way into the world of skateboarding through their suitability. Previous icons like the Dunk, Blazer and Bruin were all adopted by skateboarders in the ’80s and ’90s due to their hardwearing materials, high-profile shape or comfortable sole unit. Habitat skateboards Pro Stefan Janoski has been a longstanding member of the Nike SB Team since the early days, and in 2009 was the second rider to be given the opportunity to create his own signature release. 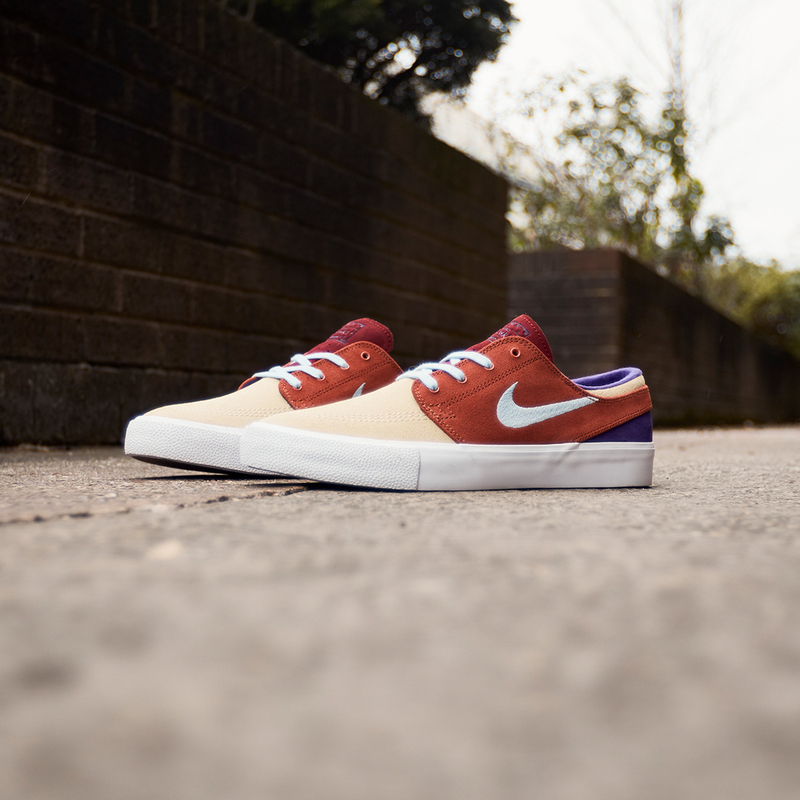 In comparison to the dunks and tech-heavy shoes like the E-Cue and Tre that came before it, the Zoom Janoski was radically different, and was the first time a vulcanised sole unit had been included on a Nike SB shoe. 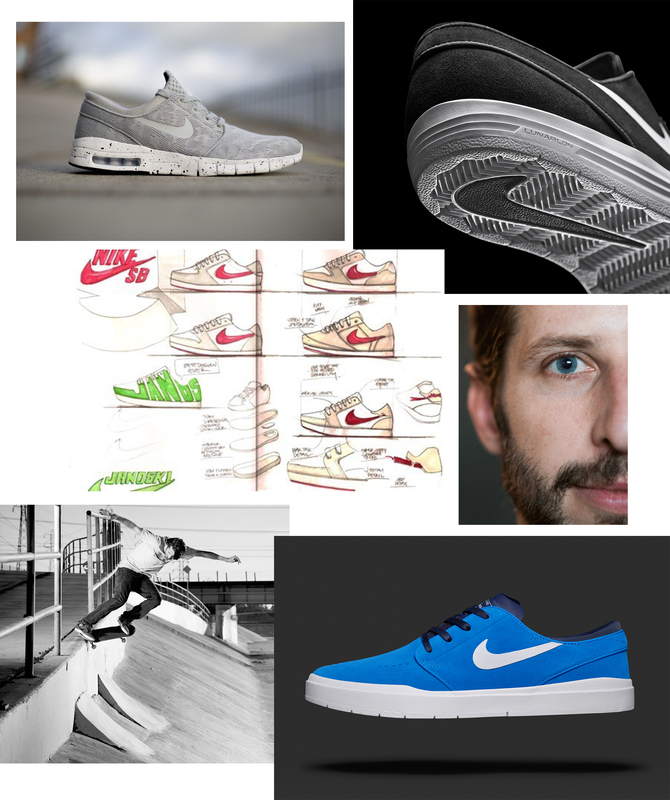 Having practically full creative control over the shoe, and working alongside renowned SB designer James Arizumi, the deck-inspired aesthetic fully represented Janoski’s personality, and has since gone on to become one of the most successful Nike SB releases of all time. 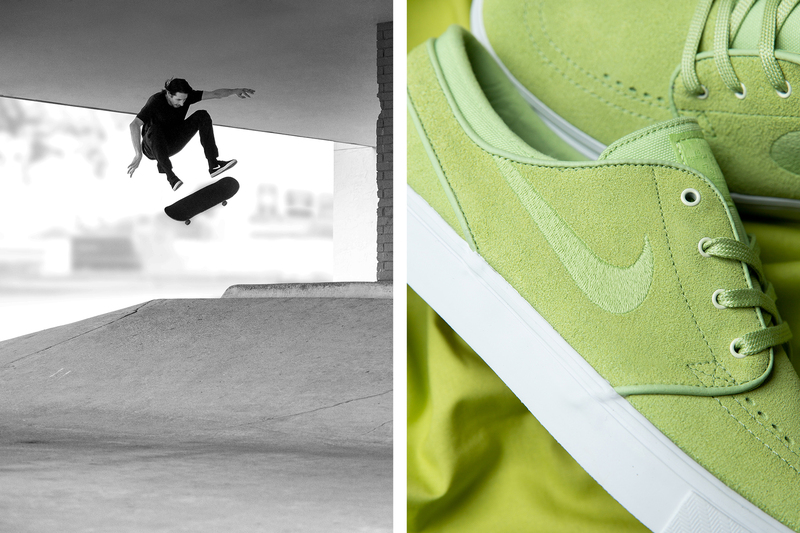 Having a very simplistic take on the traditional idea of a ‘skate shoe’, it’s easy to make small changes to the shoe to make a big difference, and over the years Nike SB have experimented with untold different versions, both performance and lifestyle based. There have been simpler updates like extending the upper to become an ankle-hugging mid top, to more drastic changes like switching out the midsole unit to encompass both Free and Air Max technology. 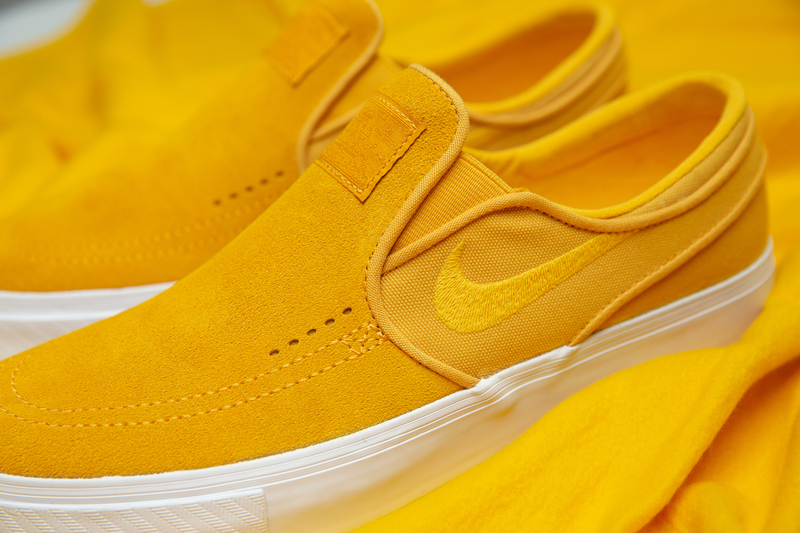 The Zoom Janoski has also had its fair share of collaborations over the last decade, playing host to projects together with brands such as Fragment Design and Poler Stuff. Its panelled canvas upper also works in favour of artist focused projects, with long time Nike collaborators Thomas Campbell, Michael Lau, and Geoff McFetridge all putting their signature spin on the shoe. Our most recent arrivals at size? 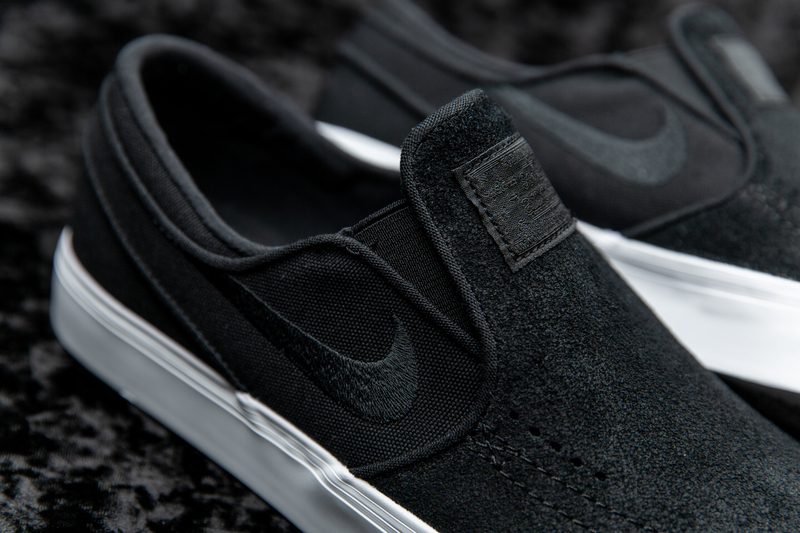 focus on the clasic original shape, and the re-engineered Slip-On variation. 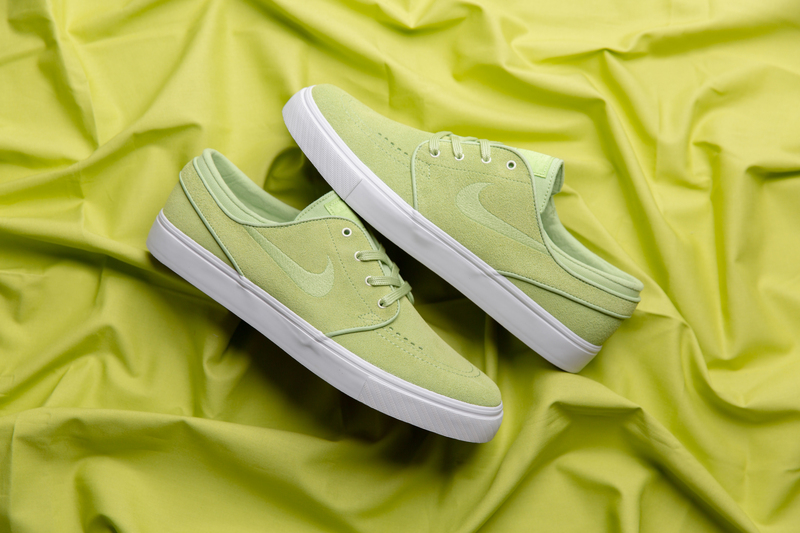 Suede has always been one of the tried-and true materials of choice due to it’s hardwearing nature when skateboarding, and this season a collection of solid block colourways vary from deep black to vibrant lime green and sunburst yellow. Celebrating the silhouette’s 10th Anniversary this year, the team at Nike SB has remastered the original with a few subtle tweaks to the weight of the midsole unit and profile of the toebox. The ‘OG’ shape sits alongside three other variations on the shape, including the below Velcro version. Moving into the rest of the year, you can look forward to a lot more colourways and collaborations coming up which demonstrate just how timeless the shoe really is.